The Communist regime had stopped the charity in June 1976. Bishops, priests, superiors of religious orders, leaders and benefactors of the 26 diocesan Caritas took part in the annual conference. Dương Ngọc Tấn, vice president of the Commission for Religious Affairs of the Government, expressed "appreciation for the spirit of service and contribution of Caritas Vietnam". Mgr Zalewski told the volunteers that they should live "the mission as salt and light for others". 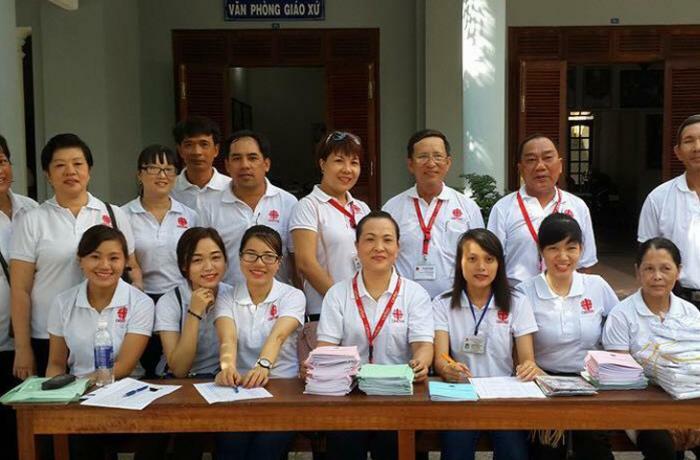 Ho Chi Minh City (AsiaNews) – Caritas Vietnam marked the tenth anniversary of its return to the country, 32 years after its forced closure at the hands of the regime, by expressing a desire to build solidarity among families, parishes and communities. The Catholic charity held its annual conference between 23 and 25 October at the see of the Diocese of Xuân Lộc, in the south-eastern province of Đồng Nai. Bishops, priests, superiors of religious orders, leaders and benefactors from 26 diocesan Caritas attended the conference. Archbishop Marek Zalewski, nuncio to Singapore and non-resident representative of the Holy See in Vietnam, was one of them. The event, which included a thanksgiving Mass, provided an opportunity to evaluate the social and charitable activities of the past few years. Mgr Tôma Vũ Đình Hiệu, bishop of Bùi Chu (suffragan of Hanoi) and president of the Charitable and Social Committee of Caritas Vietnam, opened the meeting on the theme "Solidarity for promotion". He expressed satisfaction with the activities carried out in the last ten years, but urged volunteers to look further and "work with the brothers and sisters living around us". "Solidarity,” said the bishop, “is the deep dimension of people living together in society. Solidarity encompasses the idea of ​​communion, sharing the plight of the poor, sympathising and loving the lonely elderly, children who suffered violence and the less fortunate people." John Baptist Vũ Văn Kiện, director of the diocesan Caritas of Hải Phòng in charge of Hanoi province, illustrated the process of formation and development of the organisation in the ten dioceses in northern Vietnam. Fr Marcello Đoàn Minh, director of the Caritas in Huế province, at the head of nine diocesan chapters, also addressed the gathering. Fr Giacôbê Hồ Văn Xung, director of Caritas in the Archdiocese of Saigon, presented some of the activities carried out in the ten suffragan dioceses. "Thanks to interconnection and the spirit of solidarity, the diocesan Caritas provides scholarships to poor students, health care to needy patients, counselling and vocational training to adolescents, young people, and other target groups." Dương Ngọc Tấn, vice president of the Religious Affairs Commission, represented the Vietnamese government. He expressed "the appreciation of the authorities for the spirit of service and the contribution of Caritas Vietnam in the last ten years". "Caritas Vietnam carries out many activities to help really poor people and supports the populations of remote and mountain regions," he said. During the homily of the thanksgiving Mass, Archbishop Marek Zalewski said that "the essence of salt is salty. Salt cannot serve unless it is salty. Light is not light, if it does not shine. The light must always shine for others. 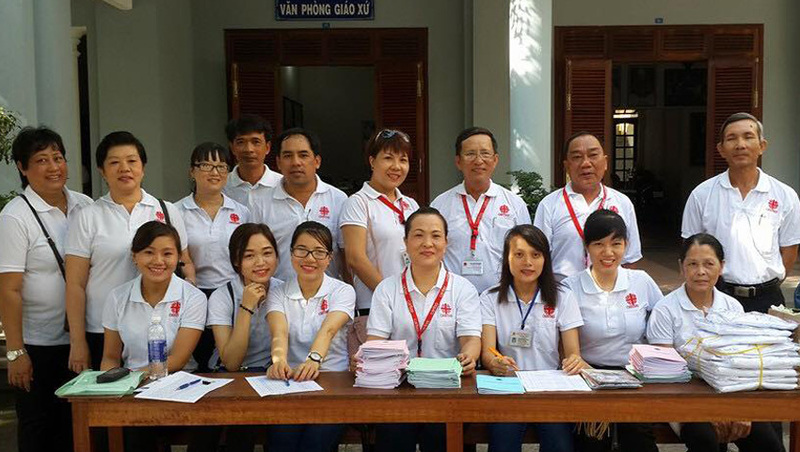 The members of Caritas Vietnam are called to live the mission as salt and light for others."